I was craving udon soup this weekend and headed towards one of my favourite noodle places on rue Sainte Anne, a street where you’ll find a plethora of restaurants serving ramen and other noodle dishes. 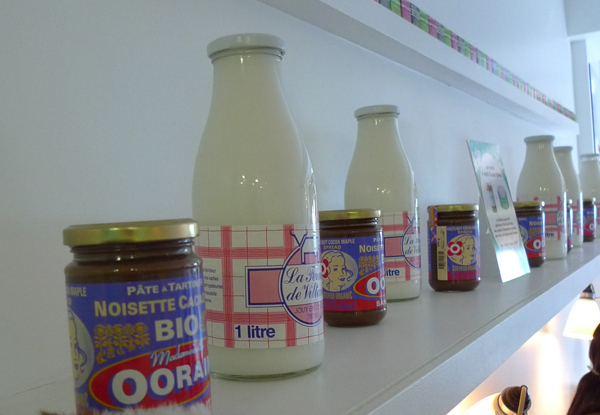 After lunch, as I headed north on rue Sainte-Anne, I discovered that in addition to Japanese noodle bars and grocers you can now buy top-notch spices on rue Sainte-Anne. 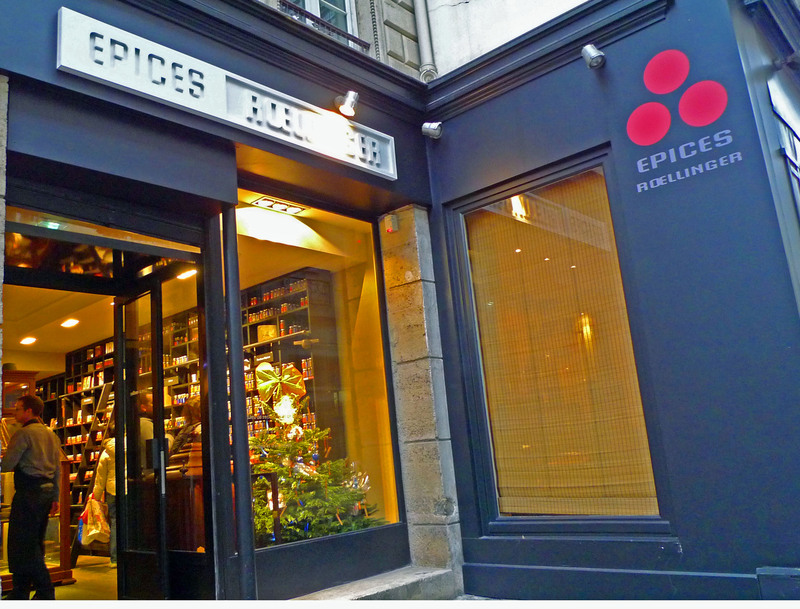 Olivier Roellinger, it seems, the French chef known for his use of spices who made headlines in 2008 for giving up his three Michelin stars, has recently opened a chic spice boutique in this Asian-centric neighbourhood. 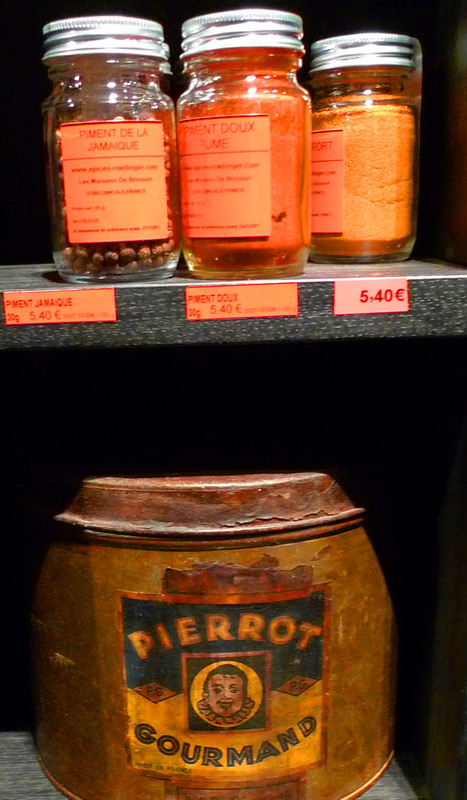 The handsome, though somewhat austere, shop houses an impressive array of unusual spices. 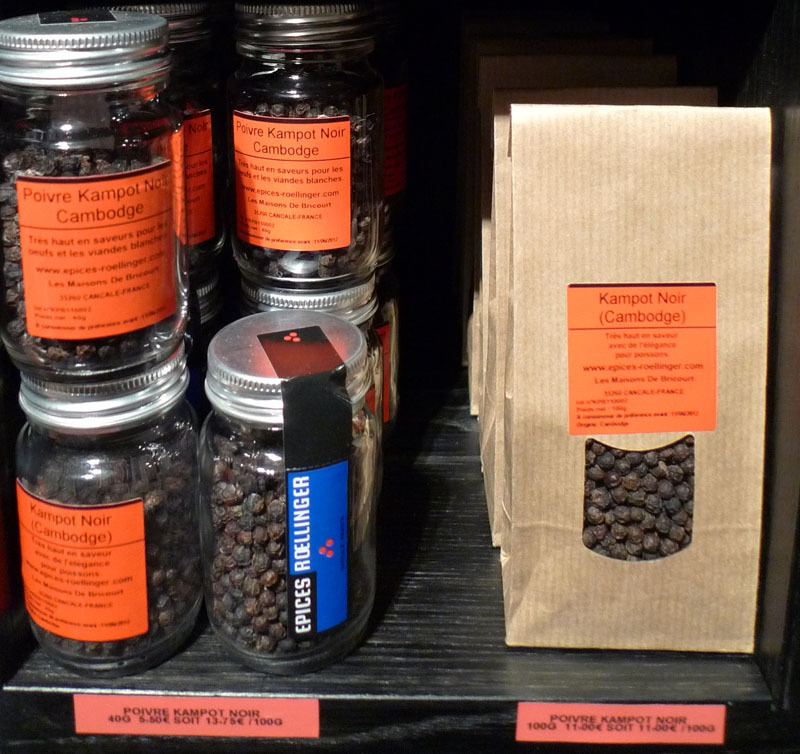 You’ll find Roellinger’s own blends, each labelled according to how you might use them. 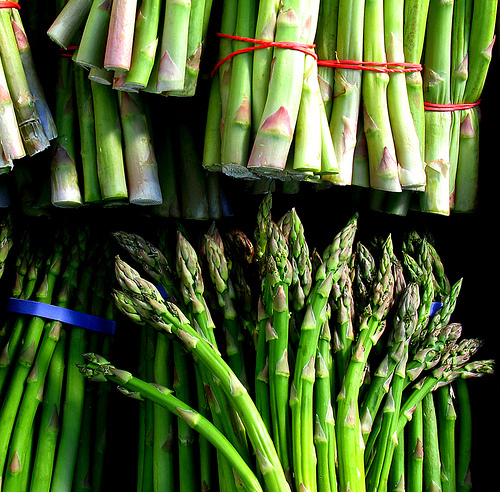 There’s a mixture of nutmeg, coriander, green anis, cardamom and other spices to be used with marinated fish or cold vegetables; nutmeg flower, lemon zest, and cinnamon is recommended for soups and broths; sesame, sumac, cinnamon, and thyme for lentils and cauliflower. There’s even a spice mixture to add to hot chocolate and another to sprinkle over strawberries. For purists you’ll find unadulterated “brute spices”, including some 17 different rare peppers with suggestions on how to serve them, several kinds of salt blends, 12 different vanilla beans, and a nice selection of oils, mustards and vinegars. Roellinger’s is, of course, not the only spice shop in town. 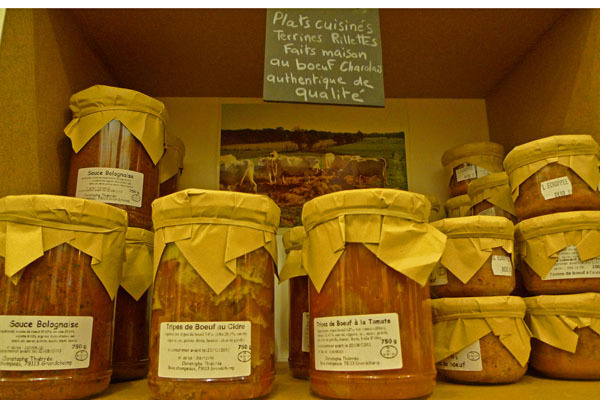 Another shop I like for spices is L’Epicerie de Bruno, a tiny store bursting with a remarkable selection of spices, chillies, specialty sugars, rice and unusual condiments. This is one of the only places I know of in Paris where you can find whole dried chilli peppers like anchos and chilpotles. They even carry cute ready-to-make bags filled with all of the ingredients you’ll need to make a spicy bean dish, risotto or even caramel rice pudding. 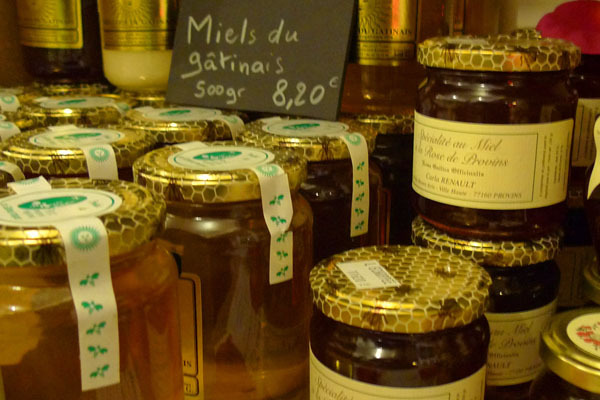 Another favorite is Goumanyat, a gourmet shop not far from Republique, where I could spend hours looking through the unusual ingredients and cooking utensils. 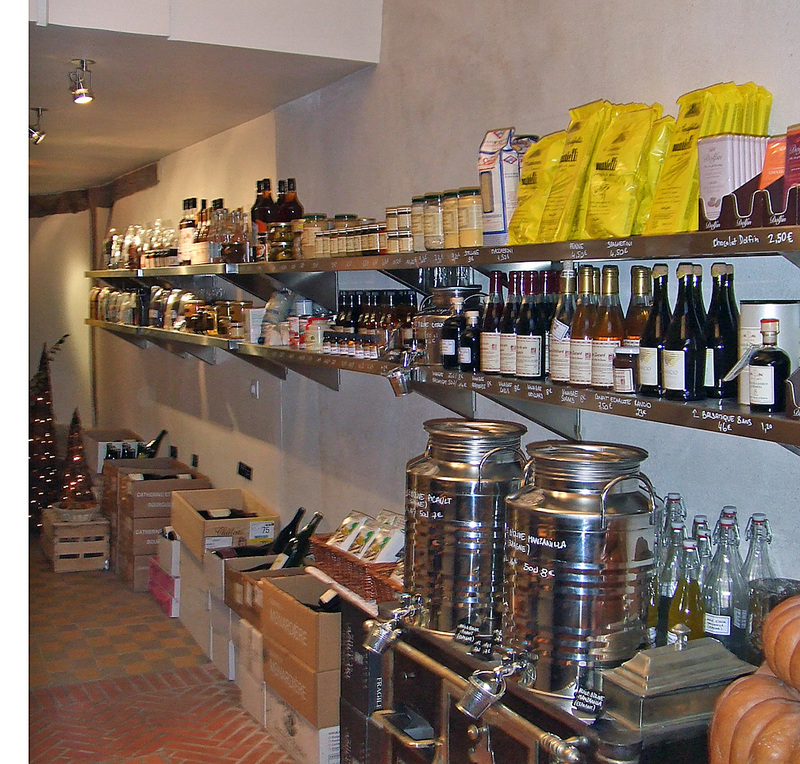 The shop is owned by the Thiercelin family, who have been in the spice business since 1809 and are especially known for their saffron. 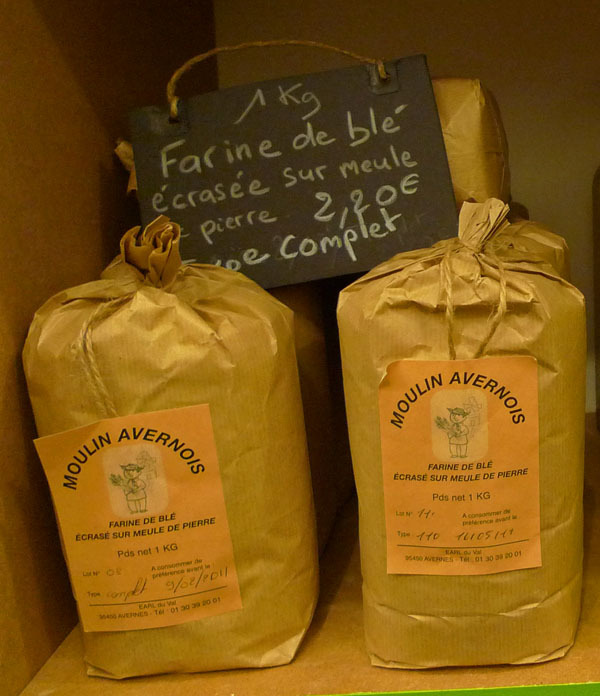 It’s rumoured that Pierre Gagnaire and Alain Ducasse buy their spices here. 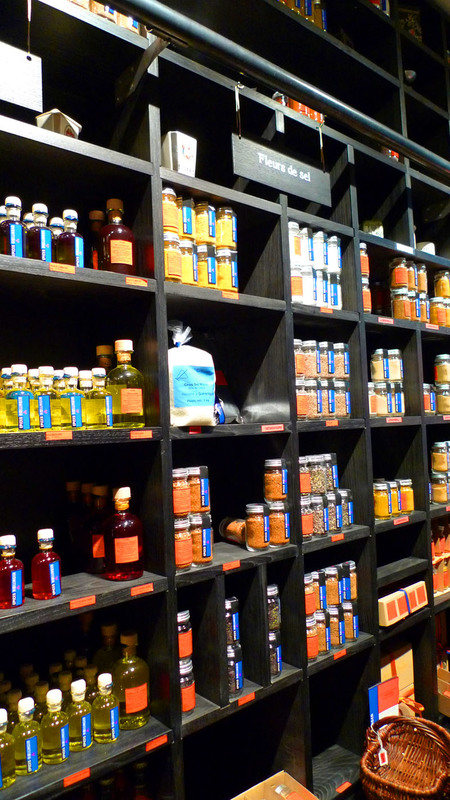 I’ve also gone to Izrael Le Monde des Epices, a shop crammed from floor to ceiling with spices and various products from around the world—I even remember seeing Domino’s brown sugar once, albeit it was rock hard. However I can’t recommend it whole-heartedly because on several occasions it’s been closed when I’ve gone, so I gave up and now go elsewhere, but I think it’s a shop worth visiting if you catch them when they’re open. 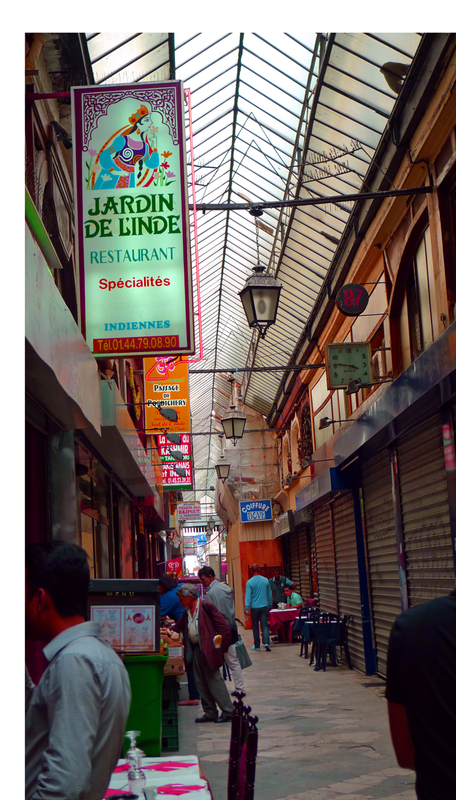 Lastly, if you’re looking for Indian spices head towards La Chapelle where you’ll find many Indian Grocers (Manikandan, V.S.& Co., and Cash and Carry to name a few). 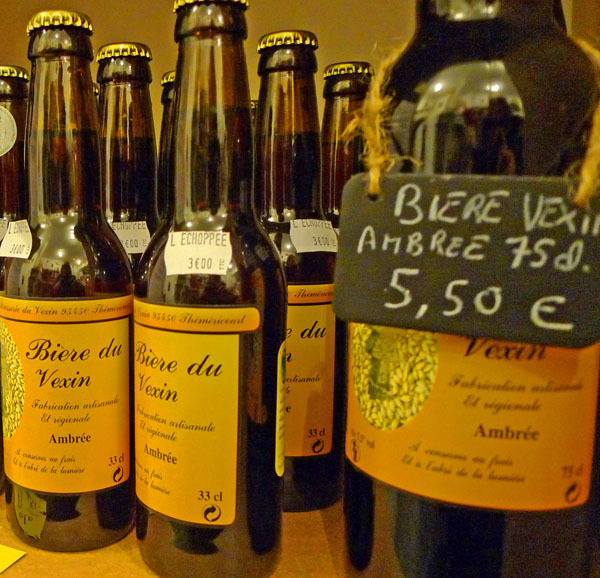 A bit farther south is Velan, a great shop filled with exotic spices, located in the colourful Passage Brady, which is worth visiting in itself. 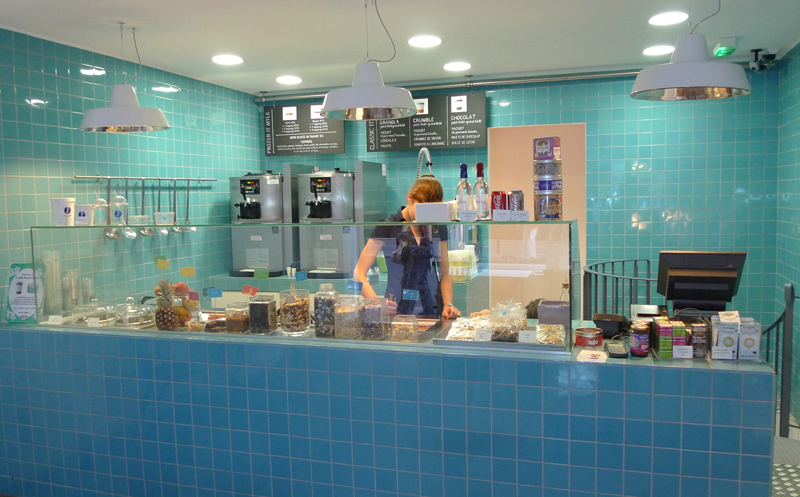 It seems that yogurt bars are becoming quite trendy in Paris with a newly opened yogurt bar in Saint Germain and pop-up yogurt bars appearing at both Colette and the Bon Marché just in time for summer. 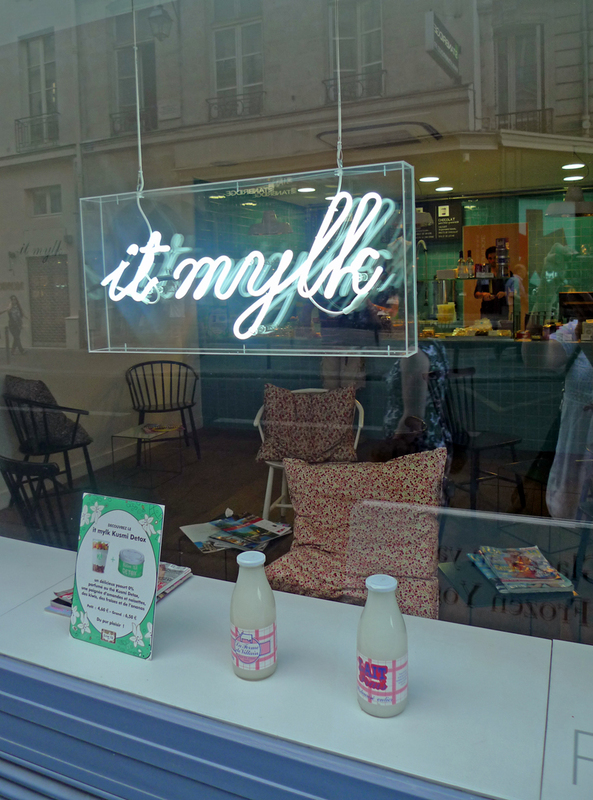 It Mylk, a cute boutique recently opened by two young fashionistas on the rue de l’Ancienne Comédie, serves fresh and frozen yogurt with a nice selection of toppings, all made with first-rate ingredients including local farm-fresh milk from la ferme de Viltain, seasonal fruit, granola, homemade compotes, crumble, chocolate and more. They also serve homemade cakes made by award-winning pastry chef Gabrielle Jones. I had a taste of the vanilla frozen yogurt sweeten with agave nector and can attest that it was creamy and delicious. 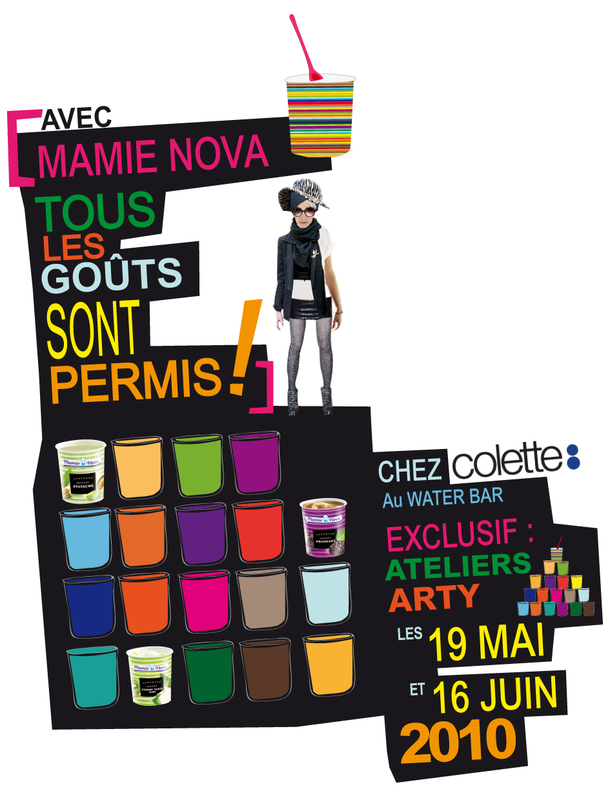 Fans of the French yogurt Mamie Nova will want to reserve a spot at Colette, the hyper-branchée Parisian concept store, on 16 June for the release of Mamie’s latest flavours: green apple and kiwi, prune, and pistachio. To animate the festivities, they’ve invited starred chef Hélène Darroze to be on hand to reinterpret some of their most popular flavours. And finally, Michel and Augustin, who you might know from their line of gourmet boxed cookies, are getting into the yogurt business as well and have set up shop until 3 July in the Grande Epicierie at la Bon Marché with an impressive ephemeral yogurt bar where you can create your own flavours from a base of plain, vanilla or raspberry blueberry yogurt with a possibility of 21 different combinations. 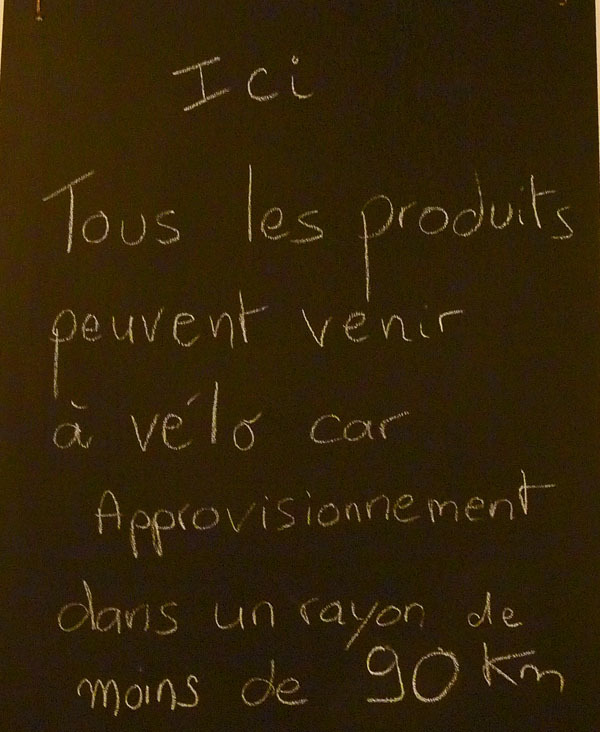 La Grande Epicerie de Paris, 38 rue de Sèvres, Paris 7th.